More than 65% of American adults are overweight or obese, according to the National Institute of Health. The U.S. obesity rate has been climbing steadily in recent years. Carrying extra weight not only increases the chances of developing serious health problems, such as diabetes and also affects how we age. Diabetes is usually caused by high sugar levels in the blood. 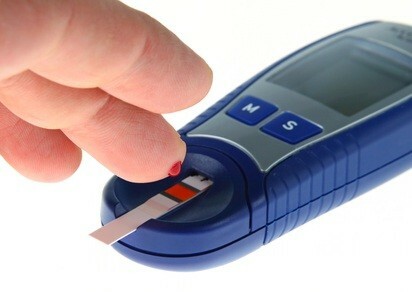 When the body’s insulin becomes ineffective, there is rise in the blood glucose level which can lead directly to disorders of the nervous system and blood circulation. People tend to ignore their sugar intake, which can be extremely harmful for someone developing diabetes. It is important to clarify the difference between Type 1 and Type 2 diabetes. Type 1 is a disorder in which the body does not produce insulin, requiring the person to take insulin injections. This type of diabetes is usually diagnosed before age 40. Type 2 is by far the more common one. It is characterized by insulin resistance that may be combined with reduced insulin secretion. Being overweight can put added pressure on the body’s ability to control blood sugar using insulin, and making it more likely for one to develop diabetes. Obesity is not just an aesthetic “weight” issue. It is a life-threatening health problem that leads to Type 2 diabetes, heart disease, and sleep apnea. Even small amounts of weight loss, through proper eating habits and physical activity, can help delay the progression of diabetes and prevent complications. (high blood pressure)…causes the lining of the arteries to become diseased. (leaky bladder)…diabetics can suffer from nerve damage that can keep the bladder from emptying. Diabetics who have lost the sense of feeling in their feet are at higher risk of falling. Psychological depression doubles in those who have diabetes because of the stress and demands of living with the disease, leading to loss of energy, sleep problems, and a feeling of being overwhelmed. Perception, memory, learning ability, verbal skills, and judgment may all decrease. One of the major health effects that a diabetic may have to face is retinopathy which affects the retina and can lead to blindness. Another problem is the damage to blood vessels affecting the blood supply to the feet. The feet may lose sensation and the person affected will be unable to stand up. The skin on the feet can turn purple and black. If this condition becomes particularly severe, then leg amputation may become necessary! Nerve damage, another common side effect of diabetes, can lead to dangerous skin conditions such as intense itching, infections, necrobiosis (red or purple skin lesions), digital sclerosis (thick, tight, “waxy” skin on the hands, feet, or neck), diabetic dermopathy (brown scaly patches on the shins and legs), and atherosclerosis—usually the result of high blood pressure (the narrowing of blood vessels resulting in skin thinning, especially in the legs area). Most often, it’s people practicing bad eating habits who suffer from this disease. The raw food diet is an excellent example of how foods can reverse diabetes. Vegetables, salads, and fresh fruit are all rich in fiber. They include no added fat and are low on the glycemic index. Eliminating meat, dairy products and eggs from your diet will provide tremendous benefits for anyone facing diabetic health issues. Through a proper raw food diet, all the symptoms noted above can be reversed. Your skin will be healthy, no longer itchy, scaly or red and purple in color. Your eyes will become healthier, no longer subject to possible blindness at the hand of diabetes. If you are new to the raw food diet, take a look at my book Your Right to Be Beautiful: The Miracle of Raw Foods, which will introduce you to the health and beauty benefits of this lifestyle practice with a healthy dose of encouragement. My ebook 100 Days to 100% Raw is a step-by-step guide for starting your raw foods journey. If you are already suffering from diabetes, Gabriel Cousens, MD wrote a most valuable book, There Is a Cure for Diabetes, where he gives a unique perspective on curing diabetes with raw foods. Another wonderful source of information and encouragement is the DVD Simply Raw: Reversing Diabetes in 30 Days. Take control of your life and see amazing results through a properly conceived and managed raw food diet. Do it right, and you may be able to eliminate your diabetes medications for good.